Hi All! 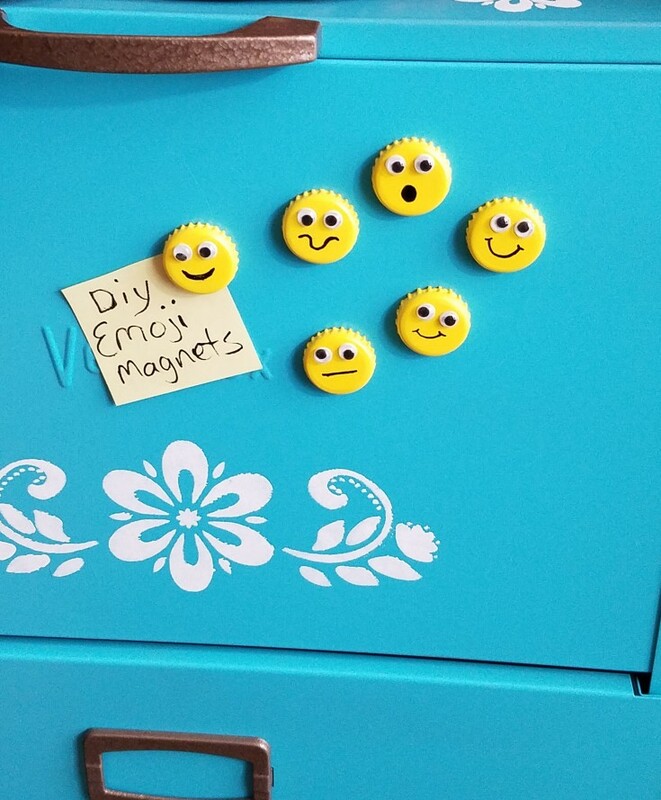 Today on the blog I am going to share a fun and easy project. 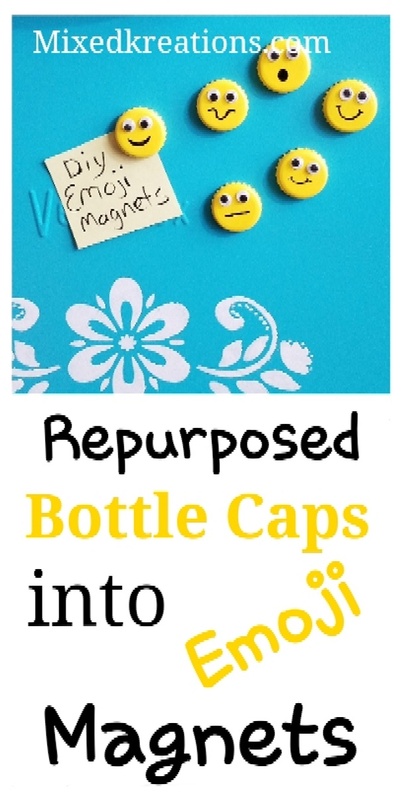 Easy diy bottle cap Emoji magnets. 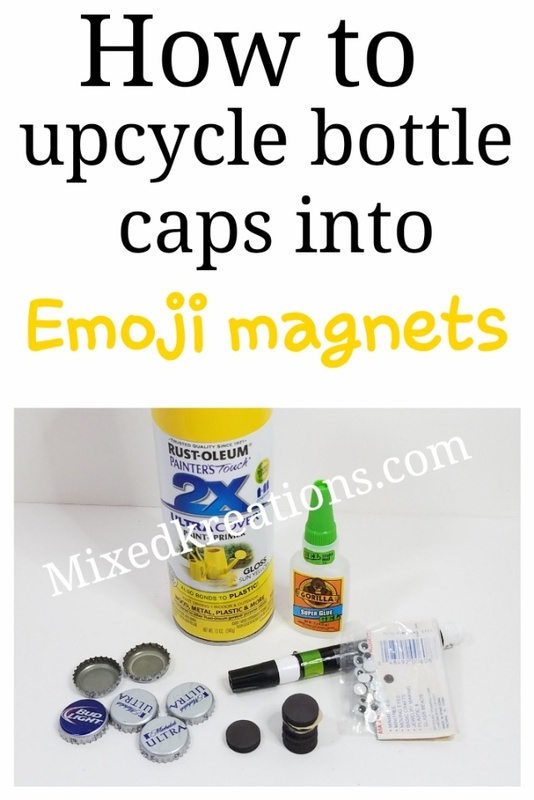 They are quick and oh sooooo easy, and a fun way to use up some of those bottle caps that you have been collecting! The longest part is waiting for the glue to dry. 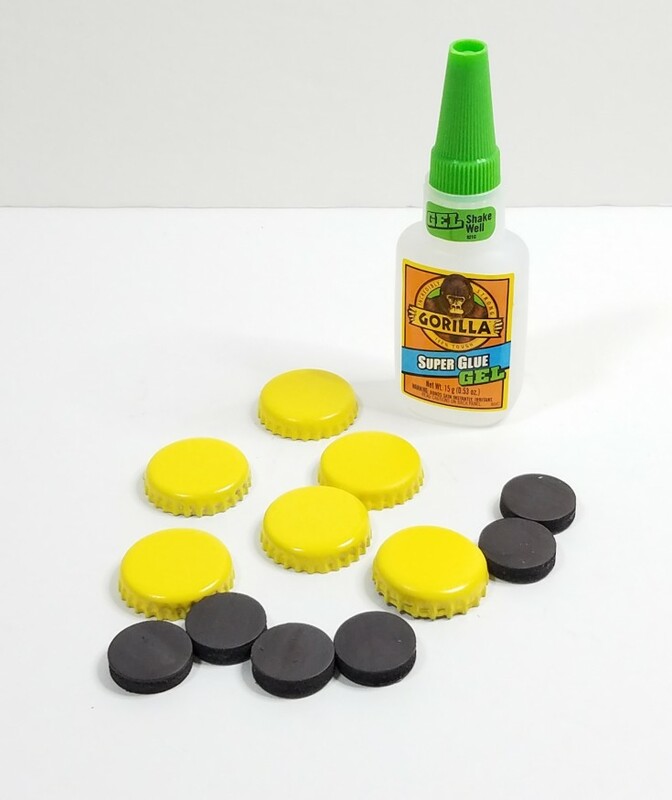 First, you will need to gather the bottle caps up, then give them a coat of yellow spray paint. 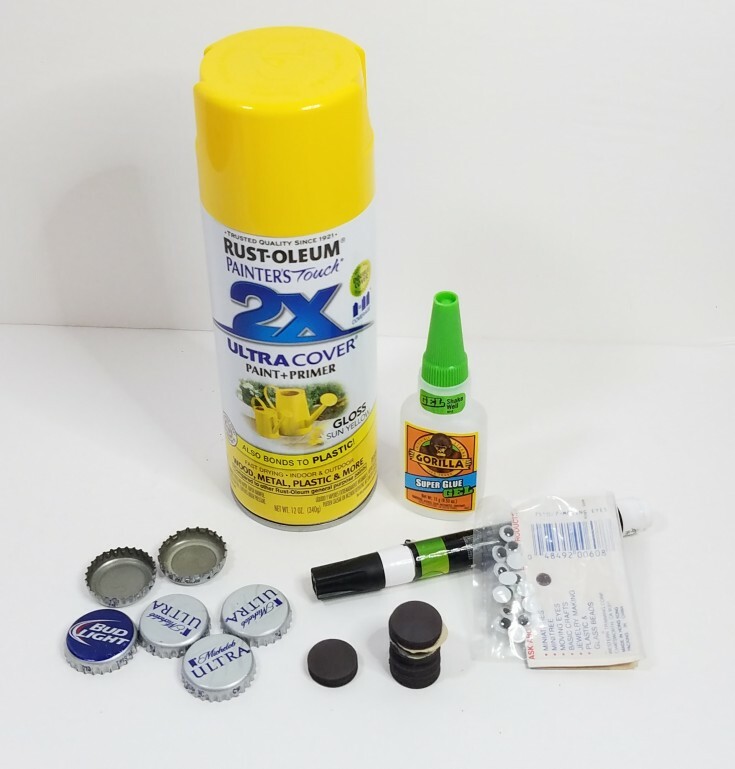 Once dry flip over and glue a round magnet on the inside of each bottle cap. Next flip back over and glue the eyes in place. 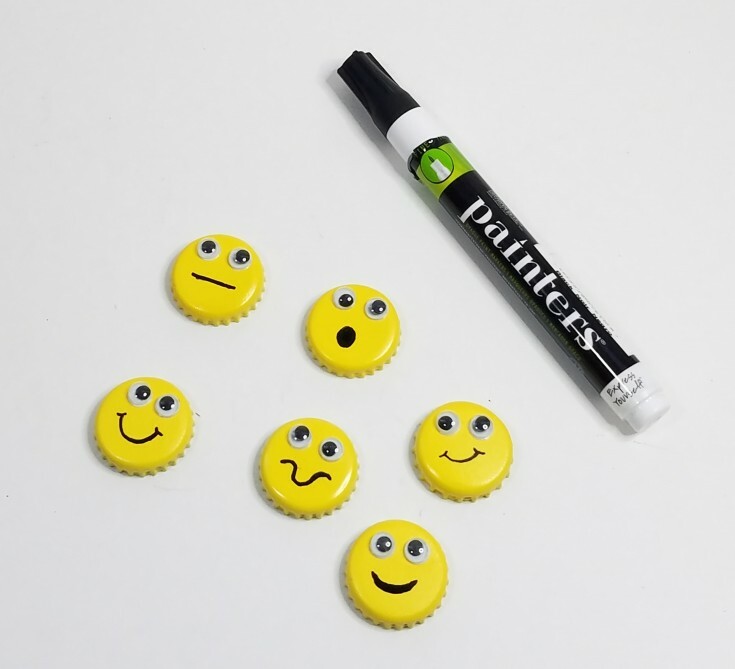 All that’s left is to draw a smile with a paint marker on your bottle cap emoji magnets. 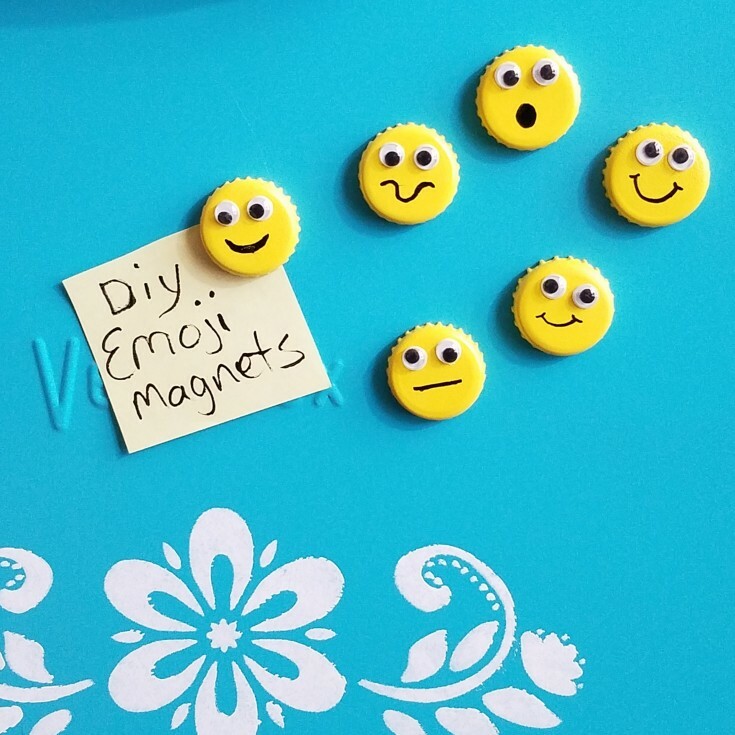 I told you these bottle cap emoji magnets were easy and super cute. Stick them on the refrigerator, file cabinet, or locker. Anything that’s metal. Oh, those are toooooo cute Linda. Their little faces made me smile. What a super idea. We have so many things stuck to our fridge, but I can always find space for more and these little guys so going to join all that other stuff soon. 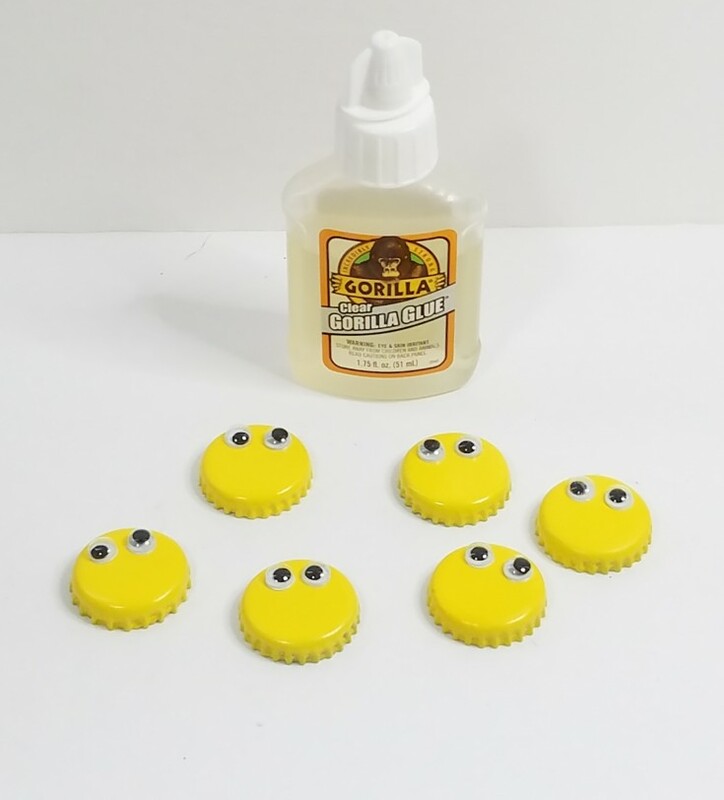 Oh my Linda, these are absolutely adorable. And so easy to make. I can imagine a fridge full of these bringing sunshine into the world!! Thank you Mary! 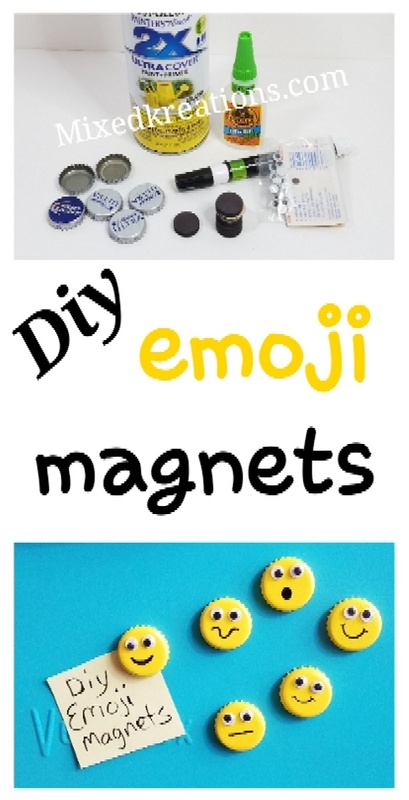 They are bright little smiling faces, and your right they are soooo easy to make! Thank you Barbara! 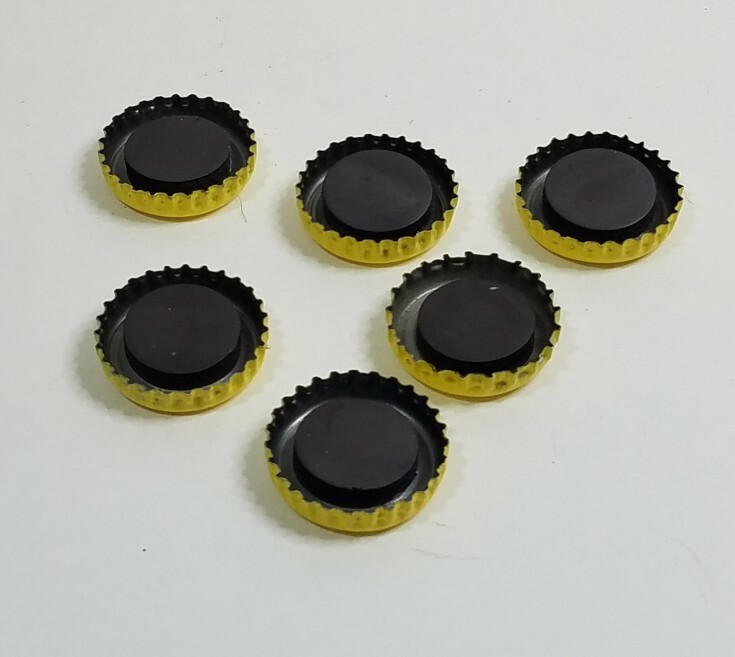 I don’t remember the ladybug magnets, but I do have them on my list to make some bottle cap ladybugs. Thanks so much for stopping by and pinning!